One thing I’ve realized over the years of damaging my hair with heat styling, pre lightening and what not, is that unless you start investing in a good shampoo and conditioner for your hair, you can never tame the frizz, dryness or repair the damage. Our Tresmmes & Pantenes are good for normal hair with minimal damage but if like me, you have damaged, colored or chemically treated hair then you must look at investing in some good hair care range of shampoos and conditioners. One such range that my hair loved last year was TIGI Bed Head Urban Anti Dotes Resurrection Shampoo & Conditioner which I shall be reviewing today. I thought I had already reviewed it long back but oh well, scatterbrain you know! 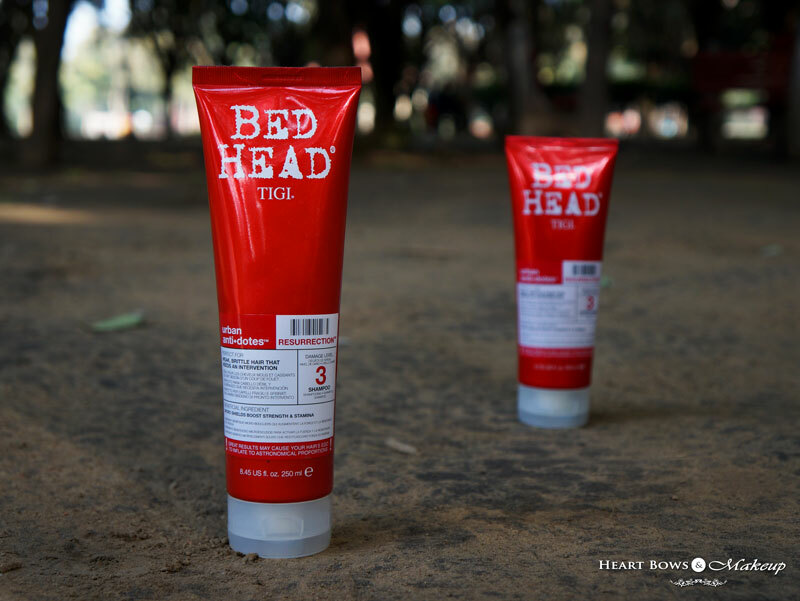 TIGI Bed Head Urban Anti-Dotes Range Re-Energize Shampoo & Conditioner: This Level 1 Damage range is for normal hair that requires a daily pick me up and promotes color retention. TIGI Bed Head Urban Anti-Dotes Range Recovery Shampoo & Conditioner: This Level 2 Damage range is for those with dry and damaged hair which requires a moisture kick and claims to prevent split ends. TIGI Bed Head Urban Anti-Dotes Range Resurrection Shampoo & Conditioner: This Level 3 Damage range is for those with weak and brittle hair which requires a serious intervention! 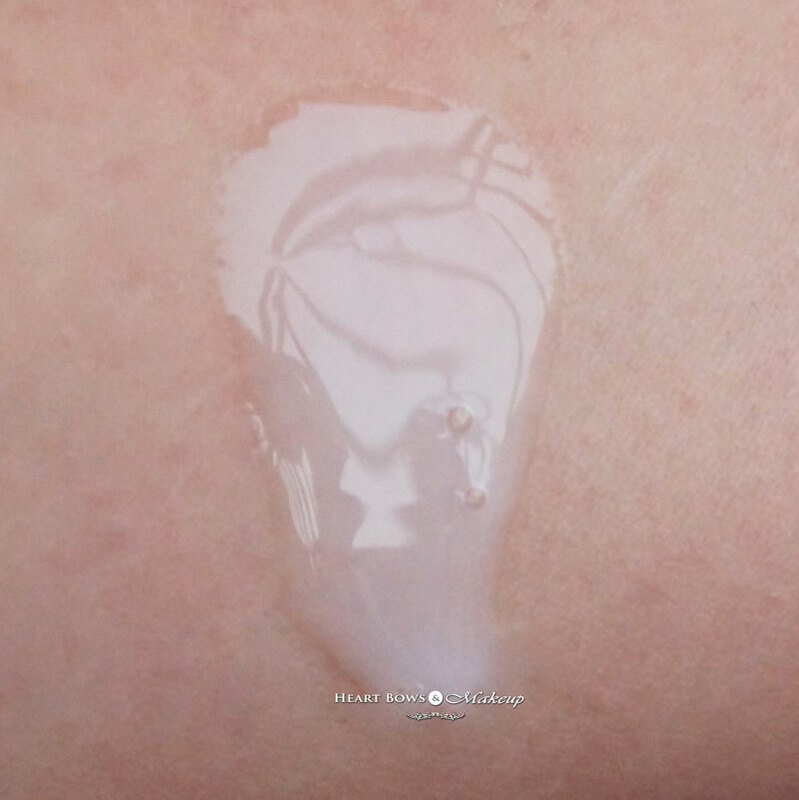 It claims to make the hair 3 times stronger and 12 times smoother . woah! 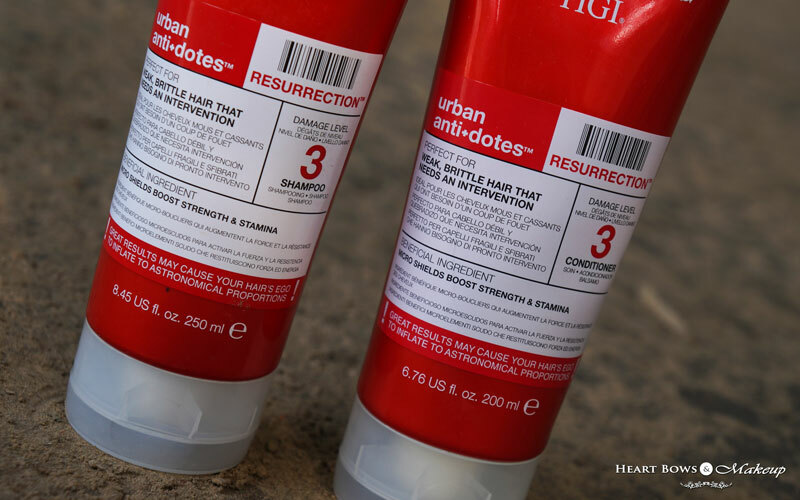 The Bed Head Urban Antidotes Resurrection Shampoo comes in a bright and red metallic tube packaging with a screw on cap. The tube is tall and attractive just like the rest of the BED Head Range. 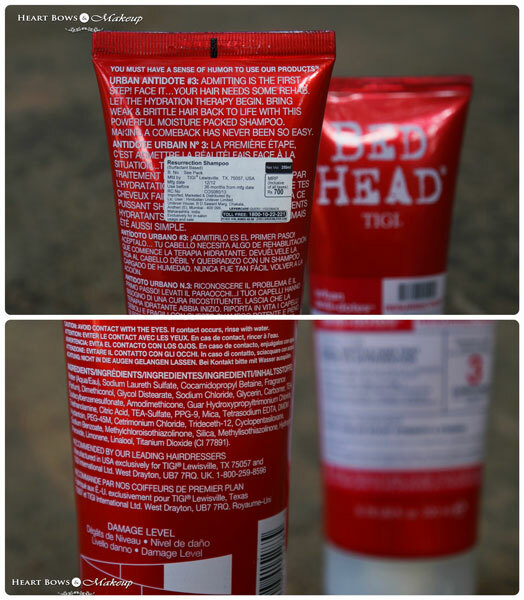 TIGI is known for their cheeky names, descriptions and colorful packaging. A personal favorite has to be the Dumb Blonde Reconstructor. Coming back to the Urban Anti Dotes Shampoo, I like the packaging but it is definitely not convenient for travel. 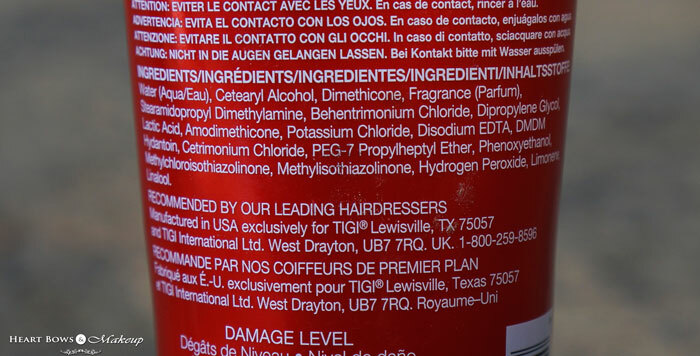 The texture of the TIGI Urban Anti Dotes Resurrection Shampoo for Dry & Damaged Hair is neither too thick nor too runny. The consistency is just perfect and has a beautiful sweet smell. If you like fruity fragrances then you’ll love it otherwise you might find it a bit too strong or artificial for your liking. The shampoo doesn’t lather as much as I would like but it cleans the scalp and hair quite well. However, I prefer shampoos that lather well, yes that means higher SLS content and more dryness but since my hair is thick I end up using alot more product to build some lather which ultimately hurts my pocket. Since this is not a SLS free shampoo, I’d rather go completely au natural and use a SLES free range if I had to settle for a shampoo that doesn’t lather adequately. Considering the price, it didn’t make much of a difference to my hair though my hair felt softer and less dry when used without the conditioner but I don’t see myself repurchasing it again. 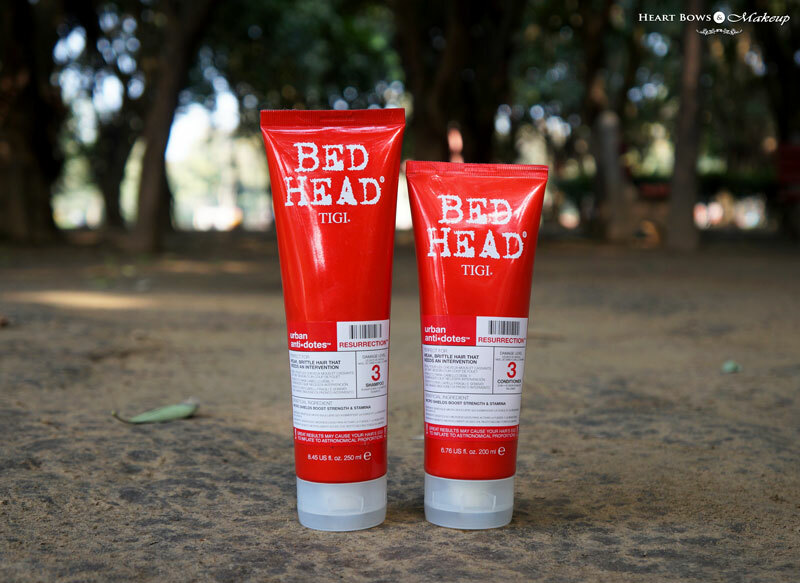 Like the Bed Head Resurrection Urban Anti Dotes Shampoo, the conditioner too comes in a similar red tube which a bit smaller since the quantity is lesser. The screw on cap shuts tightly and will not leak incase you travel with it though the bulky packaging isn’t exactly travel friendly. The scent of the TIGI Bed Head Conditioner for Dry & Damaged Hair is absolutely divine. Think, ripe peaches and berries, yum! I find the scent a bit too strong but it lasts for days on my hair which I love. 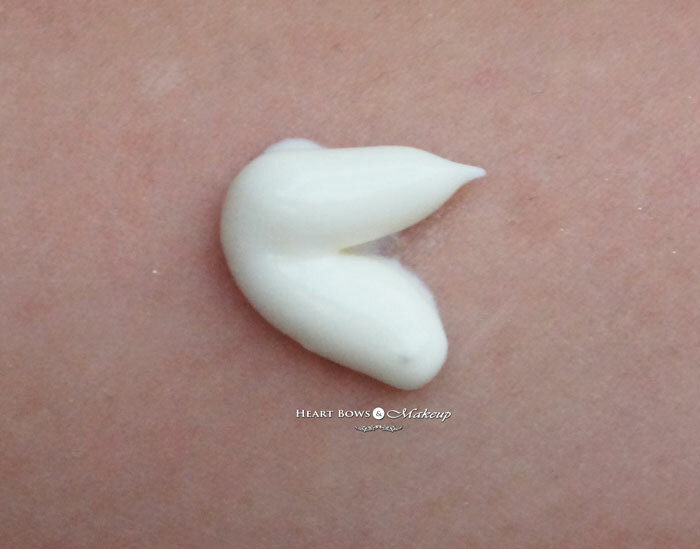 The texture is super creamy and nourishing. I need only a dallop for my medium length hair which leave on for about 2-3 minutes. Unlike the shampoo, the conditioner won me over completely. TIGI Bed Head Urban Anti-Dotes Resurrection Conditioner is hands down the best conditioner for dry , damaged and chemically treated hair. It controls frizz, dryness and made my hair manageable and silky soft. I’ve tried N number of high end to affordable conditioners and no product gave me such satisfying results. It does not weigh down my hair but do note that I have extremely dry and thick hair so I’m not the best person to comment on it. However, if you’ve tried numerous conditioners yet nothing tames the dryness and frizz then you must check it out! The only con is the price even though one tube does last you a good amount of time. 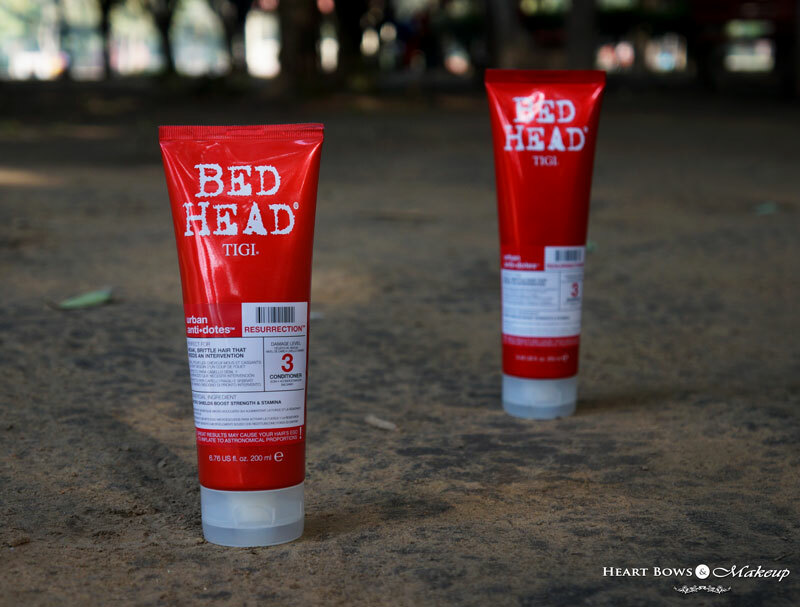 HBM Recommendation: TIGI Bed Head Urban Anti-dotes Resurrection Level 3 Shampoo & Conditioner is aimed for those with extremely damaged and chemically treated hair. The shampoo is gentle and makes the hair softer but I don’t see myself shelling 700 bucks for the results it delivered. The Bed Head Resurrection Conditioner on the other hand has to be the best conditioner I’ve used till date. Smells divine, makes my hair softer and controls the frizz like a boss B-| You must try it out! PR Samples. However, my opinion is honest and unbiased.